Hello. Anybody out there? I’ve been away from my writing far too long. The thought of this has been pawing at the back of my brain along with the growing list of guilts and anxieties regarding my well intentioned tasks–cleaning my house, visiting my brother, spending more time with my kids, not getting enough exercise. They jockey for position in my head like a kindle of thirsty kittens trying to drink from their mother. When I was a kid my mother would sometime say, “Keep your thoughts to yourself.” A way of trying to teach me to have a filter, I suppose–those who know me well, know that it obviously didn’t work. But that is what I have been doing lately. I have been walking around with thoughts, large and small. I’ve had great intentions of putting them down on paper but at the end of the day I fall into bed exhausted and tell myself that tomorrow I will get to it. As every day passes it becomes more and more difficult to sit in this chair and write. But today I will start slow. Like when I have been away from running too long, I start back up by running a mile or two, ease into it. Much has happened to me and around me in the last 6 months which I would like to share with you. But first I need to know if you are still out there. Let me know. Because I have a lot to say…. When my daughter and I jumped off my front porch yesterday to take a stroll up the street with my friend Laurie and her beautiful baby boy, Adam, I was light and happy. It was a good day, a day I didn’t go to work and decided to take a bike ride, a run, and make chicken soup instead. I had just gotten off the phone with my oldest son, Cal — now safely tucked 1000 miles away into his dorm room at University of South Carolina. He’d told me that although many of his friends were homesick and having a difficult time, that he was having the time of his life and he was ridiculously happy. (“Really? You don’t miss me a little bit?”)….. But of course, a son’s happiness is what a mother wants, so I was happy. Mostly. Laurie was walking her son to see the train at the end of the street. I walked with them explaining how I once knew the train schedule by heart and how I ran to the bridge four or five times a day with my boys, Calvin and Aidan, when they were tiny little engineer-want-to-be’s. It was nice to talk about the halloween costumes I had made the year the boys begged to be “the Commuter Rail Train”and how that was no easy feat. Although, my lame attempts at costume making caused them to be mistaken for hobo’s by every teacher and trick-or-treater, it didn’t matter to them. 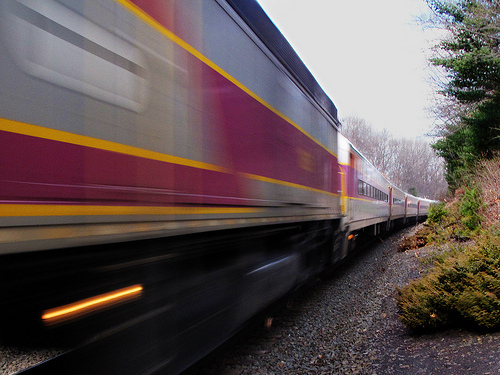 Cal and Aidan knew that they WERE the commuter rail, metal wheels on their feet and oil in their veins. “Yah, right, Cal, whatever you say, ” I had said with the best eye-roll I could muster. Please don’t tell him I was wrong…. It’s been a crazy, busy summer. Yet, despite work schedules, personal issues, and the impending opening of my new bakery, Susan and I have managed to somehow get in all of our Pan Mass Challenge training. The PMC is next weekend and Susan and I have logged hundreds and hundreds of miles over the past few months, leaving most mornings before 5:30 am and sometimes not arriving home until well into the afternoon. As luck would have it most of our long rides coincided with the sweltering heat wave that passed through New England a few weeks ago. But as hard as we train and as physically daunting as it seems on some days, I feel that I have not worked hard enough this year. In trying to fit in all my training, baking, coordinating, running and swimming, and maneuvering with the kids, I have forgotten one very important part of the PMC–the fundraising. I have not spent enough time on that aspect and I started to feel a little guilty about asking people for donations. Last year I had more time to make and sell necklaces and in previous years I was closer to my cancer diagnosis which made donating for some a little easier. Granted, the PMC is about biking, but what it really is about is raising money for cancer research. Bottom line. I am doing this ride for one purpose only — To make my own personal contribution to ending this disease, that is, as we speak, still spreading all around us. I personally had two friends die this year from cancer. These were young, vibrant people with so much more to give. Yet their lives ended far too early….leaving many children behind to feel the loss forever. So here I am facing the ride next week–a 192 mile ride from Sturbridge to Provincetown–a ride which I know will be filled with fabulous people, riders and volunteers as well as cancer survivors who stand on the side of the road with signs that say THANK YOU FOR KEEPING ME ALIVE… I would like to start my ride knowing I have done everything I can to reach my goal of $4200. I am almost there, but not quite. I can’t thank you enough, those that have supported our ride, those that will, and those that truly want to but just can’t swing it this time. I love you all and am grateful every day that I am physically strong enough to ride my bike in the name of those that cannot. I am not your wife. Or your child. Or your punching bag after a bad day. I am here to serve you. Make you comfortable and explain the menu in detail. Get you a drink, some warm bread. I can not read your mind. I do not know what you want to eat. When you ask “what should I get” I can only offer suggestions of what I like and what others have told me. When you start making up your own meals that aren’t listed I can’t tell you that is a great idea. Usually it is not. I am the liaison between you and the kitchen. I can only relay your wishes. I can not guarantee you will like it. But I can make sure you get exactly what you asked for. You shouldn’t notice me too much. It is my job to keep your water and coffee filled so you may continue an uninterrupted conversation with those at the table. It is my job to make sure you never have to look for me. But if you do, I will make sure I make eye-contact and let you know that I will be with you in a minute. Unless you think you are the only customer I have and need me by your side constantly. For extra bread, a clean knife, a new napkin, a side of anchovies, sea salt, more lemon, purified water, a tissue to blow your nose, an extra plate for your imaginary friend,etc. Then you will wait 15 minutes. I will stand and chat only when I feel I am needed. If you are alone and not involved in a book, text session or Soduko puzzle I will engage you in a conversation. Or if you are with an elderly relative that doesn’t talk much and you need some ice-breaking conversation; I am at your service. If you are with a best friend, lover, or husband, leaning forward in deep conversation I will only drop quips and quickly leave. I will not over-share. I will smile and be cheery even when I haven’t slept in a week and I can’t pay my rent. I will inquire how you are and discuss the weather, politics, current events with you–whatever you want. I will not be your therapist. I will talk to children and coo at babies. I will direct 70% of my attention to the woman at the table so as not to appear too flirty with her man, because even though he may pay the bill sometimes, most likely she is in charge of the tip. She must think I am pretty. I will read your mood and joke with you if it is appropriate. If you give me a little grief I will return it. That makes you happy. When you are finished I will swiftly remove the dirty dishes and I will offer you coffee and the best made desserts on the planet (made by me). As you leave, I will ask you to come back and visit. And usually I will mean it. I have been a waitress on and off for 34 years. That freaks me out a little. I swore to myself years ago that I wouldn’t become one of those old lady, husky voiced, waitresses like Flo from Mel’s diner; that I would quit that job long before I became a cliche. And yet, every time over the years of working a day job and during the course of raising my kids, every time that I needed money, or an escape, or both, I went right back to the restaurant scene. It allowed me to be a stay at home mom and still work and make some cash at night. Over the course of the years I have been asked many times, when I was going to get a ‘real’ job. Panic would set in as I listened to those around me who felt that their own jobs were more important and of a higher caliber than mine. Certainly many are working at amazing jobs . But a waitress — just like all the other positions out there that are taken for granted –retail clerk, gas station attendant, has the ability to make your day better and your life easier without you even knowing it. Because at the end of the day after you leave your very important positions at your companies that deal in stocks and commodities, your financial institutions, your government agencies, when you are dog-tired from sitting at your desk and changing the world….where do you go? You go to your favorite restaurant and get waited on by me. If you didn’t have me, and all the other ‘lowly’ waitresses and bartenders, you would have to go home, pour your own drink, cook your own meal and clean up your own dishes. There is a roadblock that is making it impossible for me to write. My friend Beth has been quietly nagging me to get at it. So I believe once I get this out of the way, I’ll be on my way…. In case you haven’t heard, I am getting divorced. My husband and I are splitting up. There I said it. It’s not news around my house since we have been talking about it here for close to eight years–years before my cancer diagnosis, established last June that it would actually take place, and had many discussions with our children–who were not all that surprised. But it may be news to you. Are you shocked? Dismayed? Horrified? Maybe. Do you have a right to be any of those things? Maybe not. If you lived in this house with us for the past 21 years and really understood the reasons behind this disolvement, then yes, you have rights regarding your opinion of our breakup; other than that, it shouldn’t be of any part of your daily conversation. Of course I do feel the need slightly to explain our particulars to many of you who just can’t fathom that this tragedy could happen. But I would rather you ask me personally if you really want to know. I’d be happy to tell you. We talk about it openly here in my house–I welcome your questions. What I can tell you is that the main reason for any breakup is the ultimate happiness for both parties in the long run. And this I believe with my whole heart is possible. I am certainly not saying it won’t be a difficult path for a while, but I also feel that taking the easy way out and staying together for the sake of opinion or habit is impossible. For me anyway. Having a cancer scare has taught me that life is short–too short to take for granted. A friend recently told me that he hated my cancer. Hated that I had it, hated that the possibility still exists that it will return. I told him that in an odd way I love my cancer. This was met with wide-eyed shock. “You LOVE your cancer?” Well I don’t love the fact that I got cancer but in an strange and bizarre way, getting cancer stopped me in my tracks and made me take a good hard look at my life, what was important, and made me face how I wanted to spend the rest of my days here on earth. Weather they be months or many years. So now that the cancer is at bay and and I am through battling for my health — it’s time to start battling for my life, time to take control. When you can take the time to step back and observe your life as a whole; it’s not a single thing but quite a complex tangling of many different aspects. So to take control of your life means to effect change on many fronts. The problem is that too many changes all at once can cause great stress and anxiety. When I worked in radio sales, I used to spend many hours in the production studio observing our production guy mix commercials or music on the sound board. It’s probably all done digitally now, but back then in the late 80’s early 90’s, it was the manipulation of a series of levers that would be pushed up or down depending on which voice or music needed to be in the forefront or dropped to the background that was used to create the perfect combination– a smooth commercial or beautiful piece of music. These days, I see my life as that mixing board, the levers, instead of being bass and treble represent my children, my marriage, my work, my home, my exercise and my leisure time. And I need to become masterful at not only creating a perfect balance, but moving things forward in a positive direction. It’s impossible to move all aspects forward at once or you risk an overload–too much noise, too much commotion. My husband and I are fine and we will continue to be friends as we have always been. I would hope that after 21 years our friends and family understand this and do not create unnecessary tension and complications. I am sure there will be “side-taking”, there always is…but I am hoping that most of you can begin to see that life situations are speckled with colors and shades and do not exist in black and white. Decisions like this are complicated, not easy to sort out even from the inside–impossible for outsiders to make judgements. One lever at a time, a little bit everyday. Eventually I’ll get the right mix. So alright, I know it’s been four months since my last post. But don’t think I have forgotten about you. It’s just that I have been very busy. Too busy for you, you say? Well, I know, I am sorry, I just get wrapped up in all my own stuff that I forget sometimes that there are people out there concerned for my well being. Please don’t be angry, I am not trying to be selfish. Many days I have written to you here–within the confines of my own swirling brain. I just never seem to get the time to sit and write it down. Soon another day has gone by and I have new thoughts, making yesterdays thoughts jump to the back seat. Pretty soon I have so much to say to you that I say nothing. You know how that goes, right? So I sit here today all sheepish and guilty and hope that you still love me and listen while I give you a brief synopsis of why the heck I cannot find time in my life to turn out a cohesive sentence. Here is why: I opened a bakery called ‘Just Baked’, I had Wash R Ware trade shows for 3 months, The Holidays crept in, I messed up my right knee, my house is a disaster, and to top it off my family unit has taken a tumble toward the bizarre as Mark and I try to figure out our futures seperately, and my 18 year tells me things like “I am a terrible mother” and “why didn’t I make him lunch….even terrible mother’s make kids lunch” while telling me also that he is 18, making him old enough to drink in his eyes and certainly old enough to get into car accidents. Yesterday I met my new oncologist, Wendy Chen, who replaced Dr. Anderson after she moved to Arizona. She was nice enough– a little high-strung with a really bizarre, cartoon like laugh–but nice. I suppose you have to be a little high-strung to work in the cancer industry, it seems these doctors have to fit in more and more patients on a daily basis and to do that you have to relay a lot of information in a short period of time– Information that is changing as fast as your patient list is growing. I especially liked Dr. Chen because she told me that she wouldn’t force me to take Femera–a drug she knew from Anderson’s notes I guess–that I am opposed to taking. She said I could try it and then get off it if I wanted, “No harm done,” HAHAHAHA(weird laugh). Anyway, I will see her again in 6 months. An all-too familiar shiver went up my spine as he rambled on. 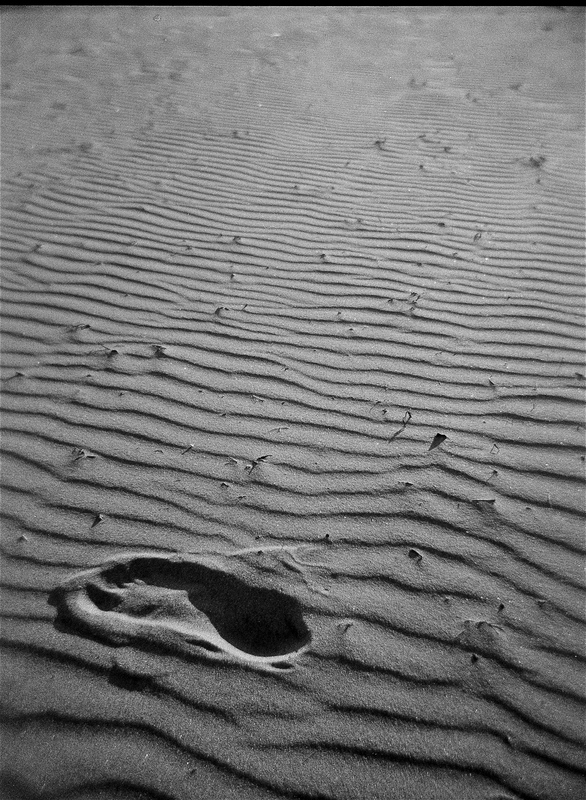 Suddenly, here was that fine line I walk, again, the one between leaving people to their own grief or getting involved. I struggle with this. Sometimes I keep to myself, wishing I had said something. In this case, the feeling of panic and fear emanating from behind my back was so palpable that I reacted before I had time to convince myself to mind my own business. And this time, I was glad I did. I turned around to see a woman, older than me by maybe seven years with her husband. Both looked like they had just witnessed a train wreck or walked through a haunted house. Her gratitude almost made her knees give out and I showed her to the chair. She thankfully accepted my comfort as I rubbed her arm and put my hand on her shoulder–gestures that usually are reserved for only your closest friends and relatives. “Will I be able to walk out of here after the chemo treatment?” she asked me. I learned that she had been treated for uterine cancer through surgery and was doing well enough to not need chemo or radiation. But after 5 weeks she was in great pain– the cancer returned as a large tumor in her upper abdomen. She enjoyed those 5 weeks immensely, not knowing what lay around the corner or the next battle she was going to have to face. This confirmed what I believe stronger every day–There is no sense in ruining today by worrying what might happen tomorrow. My cancer could come back at anytime–it’s why they want me to take these medications–to avoid the recurrence that could be deadly. But it does me no good to worry about that until it happens. Deal with each hurdle as they come, don’t sit around overwhelming yourself with what might happen. I would much rather squeeze as much life out of today like my friend in the doctor’s office did. If she’d known the cancer would return, how unhappy and anxiety-ridden those 5 weeks would have been. Instead she has wonderful happy memories of a time when she totally enjoyed her new life–and those memories might just give her enough strength to get her through her next hurdle. I don’t know this woman nor do I know for sure that she will get through this. But so often all it takes is some ones’ faith in your strength and ability to muddle through–sometimes it’s enough to hold onto when you think you can’t do it any more. “I am not giving up,” she said, looking straight into my eyes. When I left the office she squeezed my hand and thanked me. “I am so glad you said something, ” she kept saying, “So glad you said something…”. When I was in 6th grade I had to take the “Presidential Physical Fitness Test”–a series of skills that we all had to pass in gym like running, push-ups, rope-climbing and pull-ups on the bar. I liked that day in gym, because it was a break from the routine of whatever lame game they were trying to teach us, and we got to work on our own away from the gym teacher’s watchful eye. When I received my award in the mail that summer I felt puffed up and proud, reading that official document with it’s raised seal, signed by the President himself. That feeling didn’t last long, though, as a nagging voice was soon in my head reminding me that this award was not deserved– because I lied. You see, when we took the test, we were trusted to write down the exact number of repetitions we accomplished. I recorded far more pull ups than I could actually do. Girls have a hard time doing pull-ups–it’s physiological–we are built differently than boys; I probably could do a couple, but I had written down at least fifteen. It’s ridiculous, I realize that now, to believe that I should not have received the award, everyone who was in gym would of course get the certification, it was just congress’ attempt at making the nations youth more active. To my 12 year-old-self it was a glaring example of fraud on my part, and I knew I should probably keep my mouth shut about the pull-ups lest the secret service show up at my house to take back my award. So here I sit, 35 years later feeling the same way I did that summer day. Recently, since riding in the PMC, some friends and blog readers have called me ‘inspirational’. Upon hearing or reading this, I get very proud and stand a little taller like I have just received a well-deserved award in the mail, but after a few minutes of self-congratulating, I am that middle school phony again. Somehow the title of ‘inspirational’ is not deserved. I can’t really fathom why I would be inspirational to another human being, but what seems to be a recurring theme when this is mentioned, is the fact that I battled cancer and I that do triathlons. I was advised by a close friend to not write this blog because it would anger my readers, the very ones who have given me the moniker, but I am hoping you will all understand that I don’t mean to piss you off or sound like I am looking for you to gush further to me about ‘how inspirational” you really think I am, I just honestly don’t get the whole thing and when my mind is grappling with a concept, the best way for me to figure it out — is to write it out. So please bear with me. Yes I had breast cancer. So have millions of women and men around the world. Some have survived, some have died. The fact that I survived so far, has nothing to do with any act on my part. It’s just the luck of the draw. I don’t feel like I perpetuated the cancer by my actions in the first place and therefore do not deserve credit for fighting it. Sometimes treatments work, sometimes they don’t. As far as the ‘cancer-fight’ goes, I also don’t believe I fought any harder than someone who died from the disease. So my fight can’t be considered inspirational unless you want to condemn all those who have lost their lives to cancer as slackers who gave in. Was treatment tough? Absolutely. I hated every minute of it, hated being sick, and bald and tired and worried all the time. I suppose I could have been considered inspirational during that time, only because I tried not to complain and just got through it. But every cancer patient I know doesn’t complain and seems to have the strength of thousands when it comes to their coping skills. Think about anyone you know in cancer treatment of every phase and you’ll know what I mean. Also, I am not in treatment anymore. I am strong and healthy, probably stronger and healthier than I’ve ever been. So to call me an inspiration now makes me uncomfortable. There have been those I know I have inspired to start running or biking just by my writing about how much I love it. This is wonderful–if that’s the case then yes, call me ‘inspirational’– better yet all me ‘motivational’. Because to be a true inspiration you must motivate someone to do something. 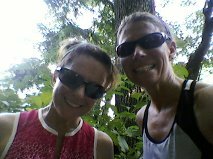 It makes me very happy when I know that I have encouraged someone to get out there and run. It’s the fastest easiest way to slim down and get healthy. But I am not inspirational for doing races or triathlons. I do these things because I like to stay in shape. The true inspiration here is my friend Julie who makes me sign up for these races and then encourages me to compete. So this is a lot of words to tell you that it is each and every one of you in my life that actually ‘inspires’ me. And I am much more comfortable talking about your inspirational qualities than my own. With your words of encouragement, and your friendships, and even those I have never met, who tell me that they like my writing. I am inspired every day by strangers and friends alike. I am inspired by the woman I met who bought a necklace for her 17 year old niece, the one she raised since the girl was 3 when her father died of cancer. I am inspired by my friends who struggle every day to raise their kids alone, or hold their families together in times of crisis. Inspired by the woman who must visit her husband in the nursing home everyday and watch the light slip from his eyes. Inspired by friends who go out of their way to make me feel happy when they are not. I am inspired daily by my children who surprise me constantly with their love and loyalty. I am inspired by my sisters who support me in every decision I make and by my brother who rages against demons and fights hard enough to ensure he meets another sunrise. I could go on, and I probably have gone on far too long. But thank you for letting me ramble because as I come to the end of this diatribe, what I’ve discovered is this: Each of us has the ability to inspire someone else, just by being thoughtful and kind, or by facing every day with a smile, and I for one should not feel bad about being called ‘inspirational’ as I hope you are all not bothered when I call you the same. At 3:30 on Sunday morning at Mass Maritime, it sounded like someone was standing outside the dorm heaving buckets of water at our window. The rain was relentless. Oh well, so much for a 4:30 am start. We closed our eyes for another half hour and then packed it up, resigning ourselves to a day of riding in the rain. We’d get to P-town no doubt about that, but at a much slower pace than the day before. After taking my broken luggage to the medic to be wrapped in Saran Wrap for transport, getting some breakfast, and searching in vain for a cup of tea, we set off over the Bourne bridge. It’s tough going up the Bourne bridge as it is a very steep climb and we are only given 1/2 a lane to ride in, so it’s difficult to pass the slower riders whose gears are getting jammed from the incline. But to me that wasn’t as scary as riding down the other side with slick roads and squeaky breaks–which I clamped tightly until the ground leveled out. Once that was done, though, we pretty much stayed ahead of the rain throughout the cape, riding with a comfortably overcast sky and occasional drizzle. The hills in Barnstable and again in Truro were tough but completely manageable. The roads were quite slick though as was the white line on the shoulder. Many riders hit that line, and went down, their tires slipping right out from under them. Susan and I were lucky to not be involved in any of these accidents, but we saw quite a few and heard stories of many more…like Doug Lyons’ excursion as he road over some woman who went down and then flipped over his handlebars (he was fine), or the pediatric surgeon who wiped out and needed an ambulance but was also able to diagnose his own injuries. We reached P-town with much hoopla from the fans, showered in the horrific tent made from tarps and cold piped in water, ate some food and drank some Harpoon. And the skies opened up again. It was then I promised Susan we would not be late for the 3 o’clock party boat to Boston (like last year) and that we would leave in plenty of time to get a dry seat on the lower deck of the ship, preferably near the bar. It seemed everyone else was gone. 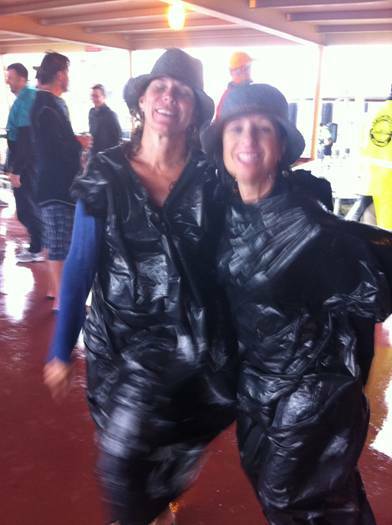 So we donned garbage bags and matching hats (Susan’s gift to me on Friday was a hat that I had admired on her) and we ran, through the rain and puddles, through the streets of P-Town. At one point taking off our shoes, thinking it was easier to run barefoot (it wasn’t). But we made it to the boat with 2 whole minutes to spare and Susan asked this guy to take our picture and as he did told us that looking at us reminded him of the Rolling Stones….and so we danced…happy to be dry, and done.